. Awesome seller here. God bless. Thanks. Super fast ship. Great item! Just what I was looking for. Thank you! This is my 2nd one! They are a good quailty checkbook cover. 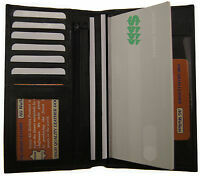 It's a thick, sturdy cover with numerous card slots on the inside for bank or membership cards. One of the slots has a viewing window. The coloring is nice and I like the verse on the front. 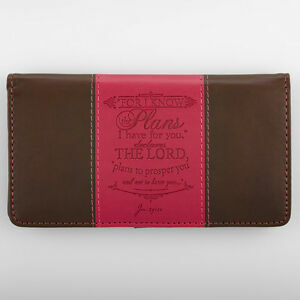 The checkbook cover is awesome and what an excellent price. Ebay has some of the best prices and product around. I love my checkbook cover a whole lot. It was perfect. I looked at hundreds until I ran across this one. It matched my new checks perfectly. It’s of the best quality. It looks like it cost more than does. It would make a nice gift for anyone like myself that still write checks.